With Docusign you can send PDF files (Internal, uploaded or generated by Print Templates) to Contacts, Organizations, Vendors or Leads and get the document signed electronically. CRM will track the transaction and update the transaction status automatically along with attaching the document to the Esign record. 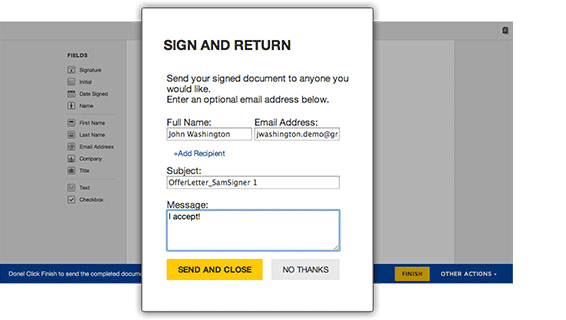 Use DocuSign to complete approvals and agreements in minutes or hours from almost anywhere in the world. Quickly and securely access and sign documents. Easily upload and send documents for others to sign. Send reminders and check signing status almost any time. This is the best app to keep your important signed documents at one place. We have been using this app from the start and it helped you to keep our all important records at one place. You can generate templates which you need on regular basis and you can make changes when ever you want.. You can send all the documents that needs to be signed at a mailing address that need your attention. You can always maintain the priority of the signatory. 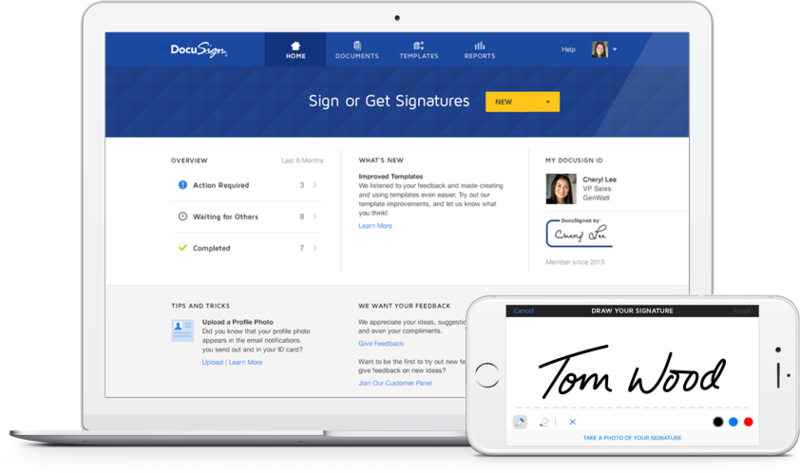 DocuSign is changing the way we do business. 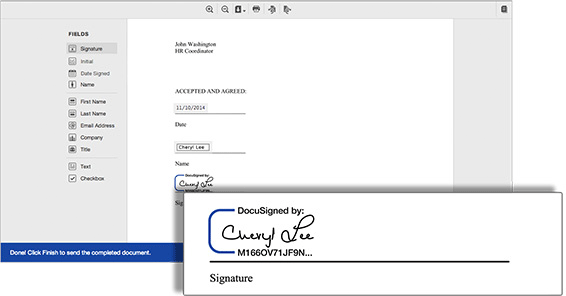 Not just for documents that we need to have signed, but internally using Powerforms. It is transformational.